911uk.com - Porsche Forum : View topic - Exhaust tips interchangeable? 911uk.com Forum Index > 996 (1997 - 2005) > Exhaust tips interchangeable? 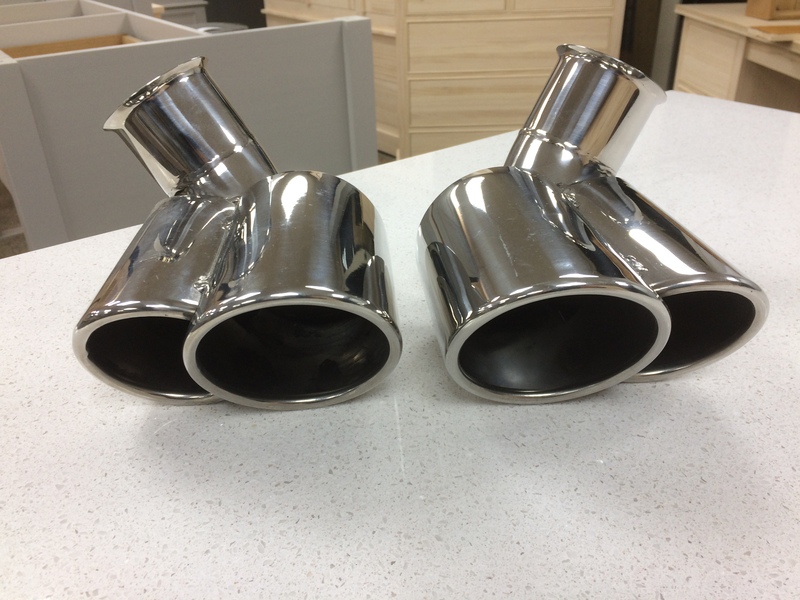 Posted: Sat Feb 09, 2019 11:15 am Post subject: Exhaust tips interchangeable? Presumably all interchangeable as they fit to 996 back boxes (Top Gear/DANSK/Porsche/etc.) which are all the same fitments. I had 996.2RS tips on my .1 for years. Assume they all fit any model. Checked on design 911, the faux quad tips seem to be for 2001 on, not compatible with earlier models, the connecting pipes look a bit longer in the pictures but previous comments would suggest they are compatable, I guess I'll have to find a used set to try out in case they won't fit.. The .2 ones do stick out more than the .1 ones to account for the different rear bumper design. I think I might have some if your still looking. Bought them for my C4S and was told by my indie that they wouldn’t fit and that they were for an earlier Carrera. Exhaust tips if anyone wants them. I was told by my indie they are for an earlier 996 Carrera and wouldn’t fit my C4S. £100 plus delivery cost if anyone wants to take a take a chance on them fitting. Interested, are these oem or aftermarket jobs? Oem will have something stamped on the bottom like einsmann and are probably not going to fit, these seem to have short connection pipes so look like they might fit a 996.1? I’ll check whether oem or not tomorrow. Fairly sure they are aftermarket. Bought them unused from a private seller on eBay two/three years ago, think I paid about £150. They wouldn’t fit on my C4S and I was told they’re for a 996.1. I cannot say 100% this is correct information but it is what my indie told me.